April 9-April 26, 2011. Throughout this time, most of the church had no idea what was happening and why. Those who were on the Staff-Parish Relations Committee knew a little more than others, but because they couldn’t discuss what they knew, the sense of distrust and suspicion within the church was intensified. Longtime, trusted members of the church continued to be accused of stealing items, showing favoritism, and more. Locks were changed in the building. A sense of mistrust, suspicion, and division was rampant in the church. Tuesday, April 26, 2011. Three weeks into this ordeal, the leadership of the church wrote Ron Schultz to ask for a meeting in order to get an update on what was happening to our pastors and our church. April 4-6, 2011. Our ministry, pastors and members under attack. Monday, April 4, or Tuesday, April 5, 2011. Margaret Sherrill, chair of the staff parish relations committee (SPRC) received a phone call from District Superintendent Ron Schultz’ office summoning the Reconciler SPRC to a meeting in the DS office. No explanation was given as to the reason for this meeting. Wednesday, April 6, 2011. 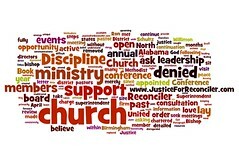 The SPRC convened at the North Alabama Conference headquarters and we were told that our pastors (Kevin Higgs and Lawton Higgs, Sr.) had complaints against them. 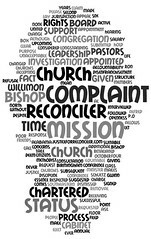 We were not told who brought the complaints, nor were we allowed to see the complaints or know the specifics, but the two general areas of concern had to do with mismanagement of money and using the pulpit to promote a personal political agenda. Kevin and Lawton would be on “vacation” until this could be resolved. That was it. We were warned not to talk about anything outside the group under threat of revocation of Kevin’s and Lawton’s credentials. We asked how we were to answer inevitable questions about our pastors’ absence. We were told to respond: “Kevin and Lawton are taking time away from the ministry while we work as a team to get things worked out.” We were told that an investigation would be conducted within 90 days and charges made, if merited. We would be notified when the investigation was complete. We were also informed that materials were being taken out of the clothes closet which we maintain for the homeless. Ron Schultz had approved the changing of the lock on the closet, and Mary Jones, lay leader and founding member of the church, was denied a key, despite the fact that she had set up the closet years before and always coordinated the work in that area, spending hours every week to organize the clothes and coordinate volunteers. Rumors began circulating, fed in part by the associate pastor, that Mary was the person taking items from the closet, even though there was no proof at that time or in any time since.